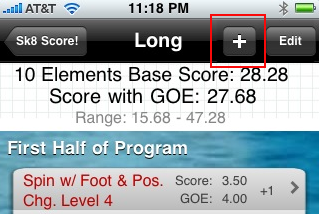 While viewing the elements in a program, tap the Add button. 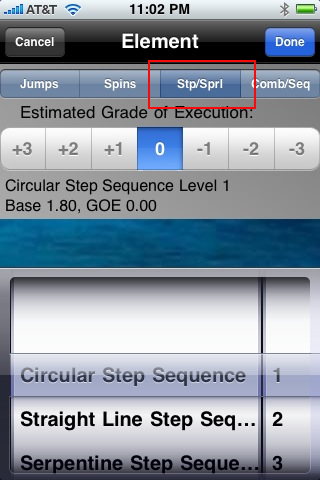 Select your jump and number of revolutions. Add your anticipated GOE if you have an expectation. 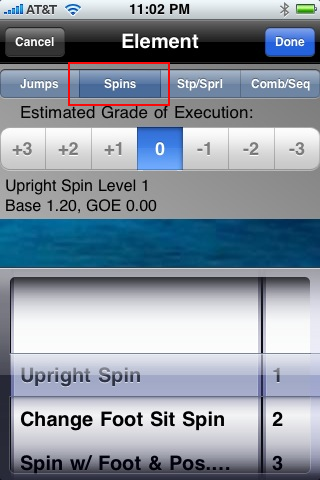 Select your spin and level of difficulty. Add your anticipated GOE if you have an expectation. 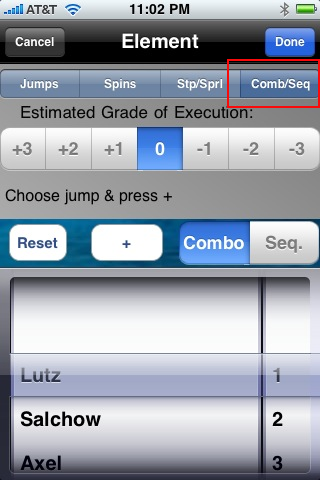 Select your sequence and level of difficulty. Add your anticipated GOE if you have an expectation. Select jump and number of revolutions. Tap the button to add the jump.